John Blanchard is to replace the convalescing Dr. Sam Christian as the opposition United Workers Party (UWP) candidate for the Soufriere candidate, the Sun can reveal. 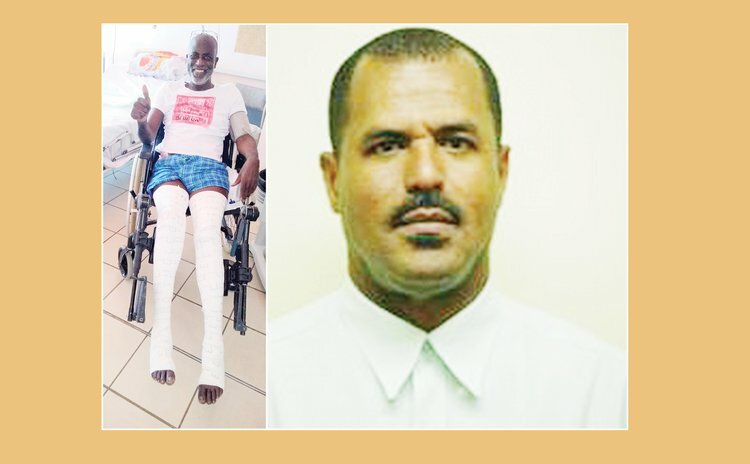 Dr. Christian, who was actively campaigning as the declared candidate of the UWP after leaving the Dominica Freedom Party (DFP) recently, was injured in a "freak" vehicular accident in Pointe Michel in December 2018 and had to be airlifted to Martinique for emergency medical attention. He is still in Martinique undergoing medical treatment after an operation. In August 2018, Dr. Sam Christian, a surgeon, was launched as the UWP candidate for the next general elections constitutionally due in 2019. Asked at last week's UWP press conference about a replacement for Dr. Christian, party leader Lennox Linton said: "We will contest all 21 seats and in the case of the Soufriere constituency a democratic process is being engaged within the party. So the people who form part of our constituency associations are the ones who deliberate on those matters and report back to us with recommendations. Dr. Sam Christian was very active in the constituency as our candidate before this unfortunate accident. The constituency association is in control of the matter…they have their options and we have a time frame to decide if Dr. Christian, given his health situation will be able to run as a candidate or he will be replaced." But party insiders disclosed to the SUN that John Blanchard one of the persons who campaigned with Dr. Christian in the constituency has been unanimously endorsed by the party branch in Soufriere to replace Dr. Christian. "Blanchard will be the man to replace Dr. Christian and he has accepted, he has been on the ground with Dr. and knows all the running's and with the help of the other crew will take it over for us," the UWP party official in the Soufriere constituency said. Blanchard has been actively campaigning for the UWP for many years; he is also an active member of the Pointe Michel Village Council and the uncle of former UWP Senator Tihira Blanchard. He is the credit controller at the Dominica Electricity Company, DOMLEC. "He will be officially launched after the carnival celebrations but in the meantime he is on the ground in the constituency as he used to do with Dr. Christian doing his house to house and meeting his people. We fully endorse him and Dr. Christian is also thankful that he has accepted to replace him," the party source said. When contacted, Blanchard confirmed his endorsement by the party branch but he refused to add more saying: "Let the leader of the party do the talking." Blanchard goes up against Denise Charles of the ruling Dominica Labour Party and Jeff Bellot of the DFP. Charles was named the DLP's candidate at the recently held special delegate's conference at Londonderry. She had replaced Ian Pinard who resigned from parliament following legal issues related to an alleged relationship with a schoolgirl. Afterwards, Charles won 71% of the votes cast in the bye-election held in June 2016. The DLP has won the three general elections in Soufriere from 2005. The DFP won Soufriere with Frederick Baron in 2000.